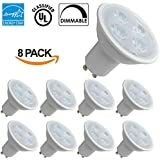 With hundreds of different led bulbs to choose from, it can be diffucult to know which one to pick. In this article we will reveal the Top 5 most bought and top rated led gu10 bulbs. This review will make it easier for you to pick the right product. For you who just want to quickly pick the best led gu10 bulb and don`t have time to read the whole article I have put together a table below. 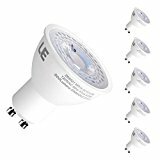 Led light benefits – Why is led gu10 light bulbs better? If you want to slash those electric bills, there’s no doubt LED light bulbs are a bright idea. They use a fraction of the power of conventional bulbs and can literally last for decades. There’s only one dark spot for LED lamps but it’s a huge one and that’s cost. Incandescent bulb might cost 50 cents and led bulb more like twenty bucks, is it worth it? Well it depends. Since LED last so much longer and use so much less power they’re ultimately going to pay for themselves. But the keyword there is ultimately. What you need to know is when you break even, here’s what I mean. 13 and a half cents per kilowatt for electricity, the cost of incandescent that’s bulbs and electricity gives me about $32 for two years and all of that cost is in electricity. And led including both bulb and power will cost only $25, 20 of that is the cost of the bulb, almost no electricity. So burn like five hours every day and you break even with led in less than two years. It’s a good idea but watch what happens when you don’t use the light that much. 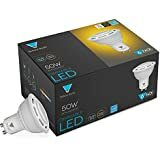 If you keep the light on only 30 minutes a day instead of five hours the cost of incandescent is only about three dollars and fifty cents over two years. 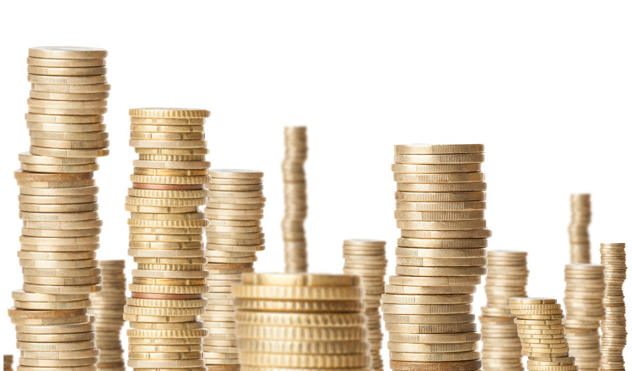 Cost for the LED – twenty dollars and fifty cents. At this pace you’re not going to break even for 15 years. 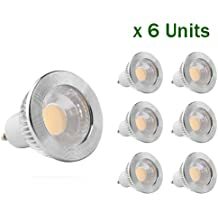 Bottom line, while you’re always going to save money over the long run with an LED, unless you use the light a lot you may be dead before you break even, so the point of the story is, if you’re going to go with an LED replacement do it on the lights you use the absolute most. 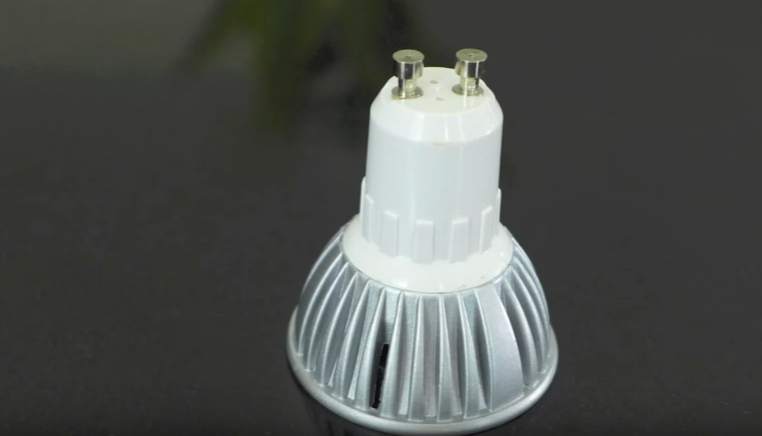 How to choose the right GU10 LED lamps? 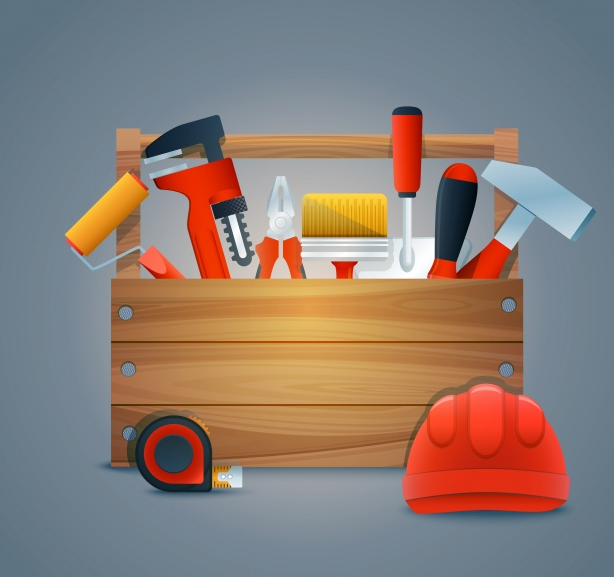 Have you decided to replace your old halogen bulbs by LEDs to save energy? Then you have definitely made the right choice! 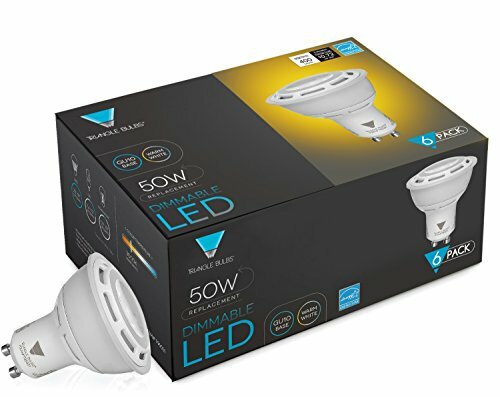 In this review we will help you pick the best GU10 LED bulbs – step by step! 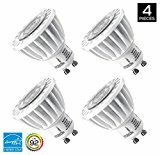 Very energy efficient as they consume less energy than standard halogen lamps for the same light output. Led light lifespan is on average 10 to 20 times longer than halogen and incandescent bulbs. By switching to LEDs, you can significantly reduce your energy bills by about 80% and quit the hassle of replacing your bulbs frequently! 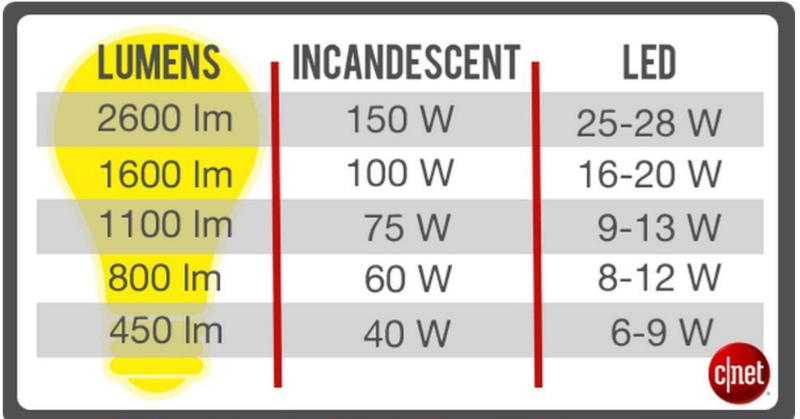 What does the Gu10, lumens, reflector and other technical terms mean? 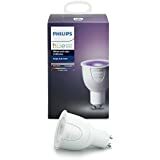 For this example: Let`s take a look at the Philips 454363 50W Equivalent – 3000K GU10 LED Reflector Light Bulb, made to replace 50W halogen bulbs. 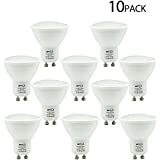 Gu10 led bulbs 50w equivalent: this should be your choice if you have been using a 50w halogen or incandescent bulb. After a long time, we finally have a genuine 50w halogen replacement 7w GU10 LED. You need to divide the wattage of your current halogen lamp by about 8 to find the equivalent LED wattage. For almost all LEDs, the halogen and LED wattage is usually shown in the name of the product (see below). 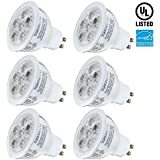 What does led bulb gu10 400 lumen mean? The lumen in simple terms means, Lumens (lm) are a size of the entire amount of light from a bulb. The bigger the lumen number, the brighter the lamp will be. 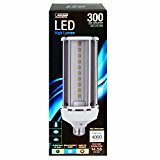 Designed to replace a 300W light bulb, the Feit C4000/5K/LED The Brightest LED Bulb Overall: 38 Watt High Powered GU10 LED Spotlight, has a light output of 4000 lumens, using only 38W of power. 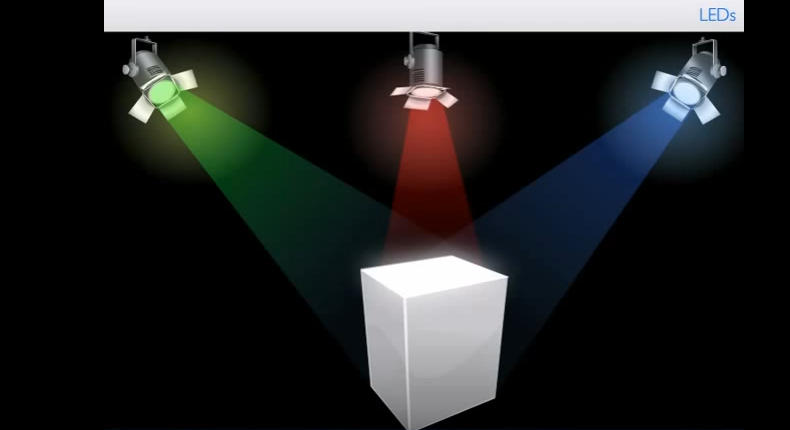 Perfect for indoor and outdoor use, this spotlight can be used at the home or on a commercial property. 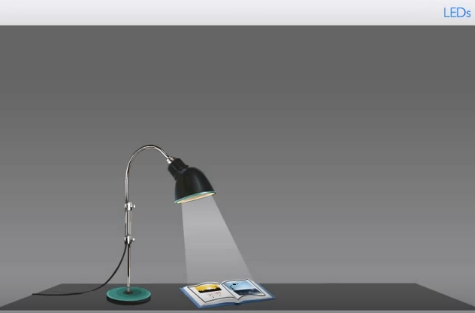 Led light can have different color temperatures, shown in units called Kelvin (K). Bulbs with a low Kelvin value produce a warm, more cozy light, while those with a higher Kelvin value makes a cool, more energizing light. 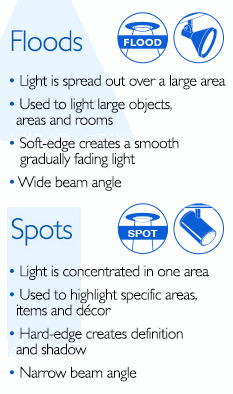 Beam angle: GU10 LED lamps are available with different beam angles depending on which type of lighting you need. 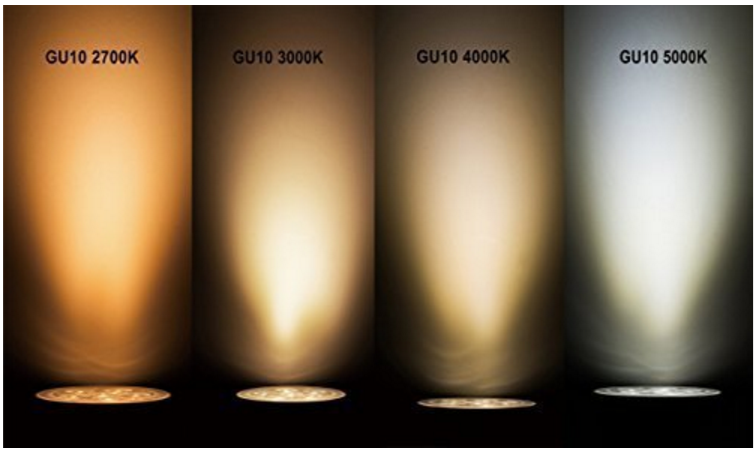 The most commonly used GU10 LEDs have a beam angle of 40 degrees. Gu10 is the name of the bulbs base and the number 10 indicates the space between the two pins in millimeters. 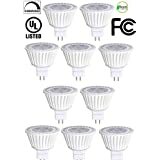 Best gu10 led bulbs for kitchen? 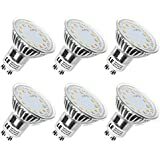 What is the best light bulb for your kitchen and what to think about when choosing a new bulb. The kitchen is a workspace for most of us. Many of us start our days in the kitchen, so those blue-light emitting led bulbs over the counters will help make us sharp and awake while making breakfast. 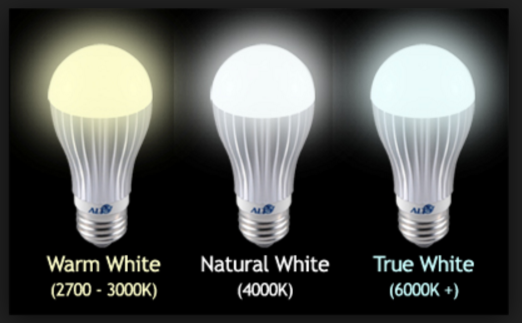 The best choice for kitchen led bulbs are those with a color temperature between 5000k-6500K (Kelvin). The high color temperature creates a energetic mood for you. 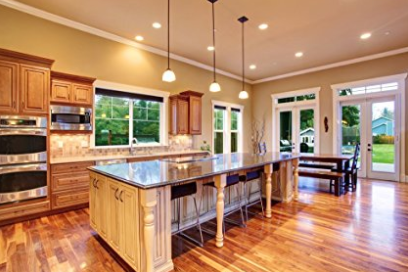 If you also have a table in your kitchen, a dimmable overhead light fixture with a warmer color temperature (2500k-3000k) can create a relaxing space to balance out the more intense led lights over the kitchen counters. The Hyperikon warm white below is fine pick if you want a warmer light in your kitchen. 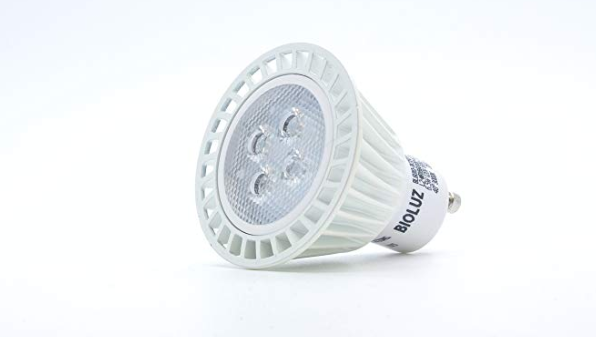 GU10 LEDs have a voltage of 230V and can be used in your regular fixtures with a GU10 socket (example of the socket: Spirit LED GU10 Socket). You don’t need to change your installation to use LEDs, simply replace your current halogen bulb by the LED to benefit from instant savings! 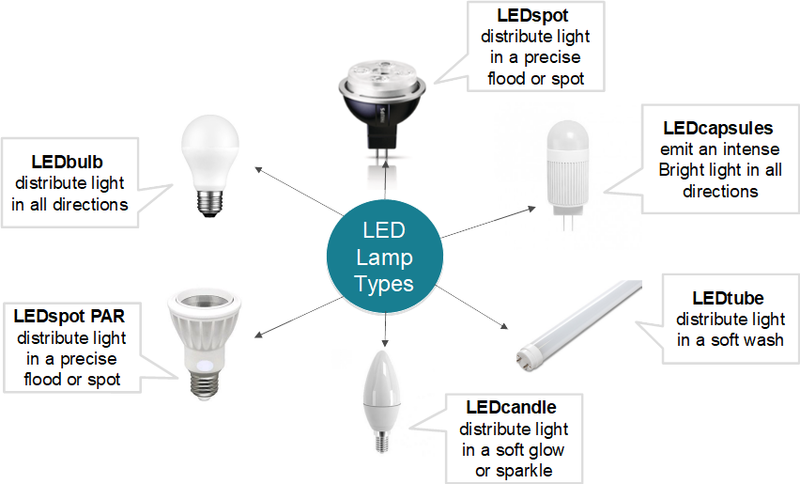 Want to learn the basic concepts of LEDs? Light Emitting Diodes or LEDs are small, point light sources that can be used individually or in a cluster of more than one chip. to direct and screen the light. 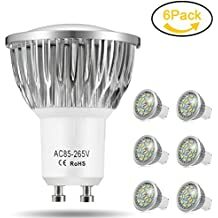 If the LED chip or cluster, with its driver, is encapsulated in a bulb with a conventional lamp foot,we have a direct replacement for an incandescent lamp, which is called LED retrofit lamps. of light at each wavelength in the visible spectrum. 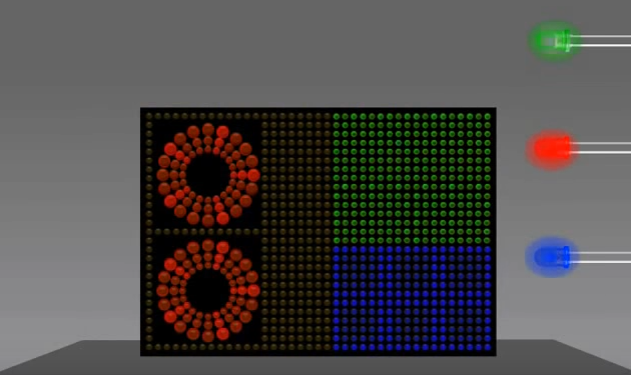 The materials available today make it possible to produce LEDs in all colors. 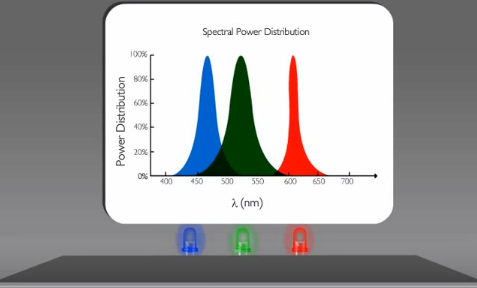 The spectral power distribution is always narrow. Since the spectrum of a single LED is always narrow, white LED chips cannot yet be produced. But white LED light can nevertheless be obtained by combining red, green and blue LED chips into a single module or system to give white light. 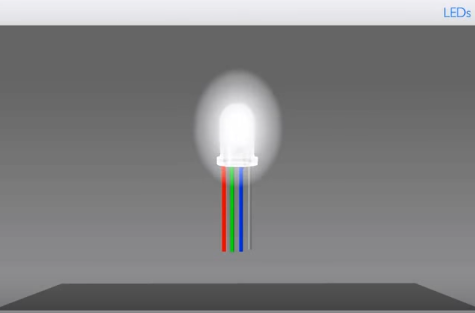 A single LED producing red, green and and blue light would therefore result in white light. This type of LED is called RGB LED. It has four pins, one for each color and a common cathode. of blue LED chip and yellow fluorescent material called phosphor. This is called a “white phosphor LED”. 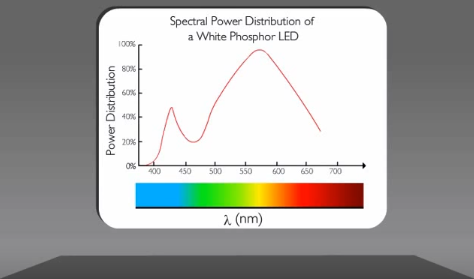 This graph shows the spectral power distribution of such a white phosphor LED, from which it can be seen that now light is emitted over almost the whole of the visible spectrum. Using an LED has a multitude of amazing benefits. LEDs have long life. 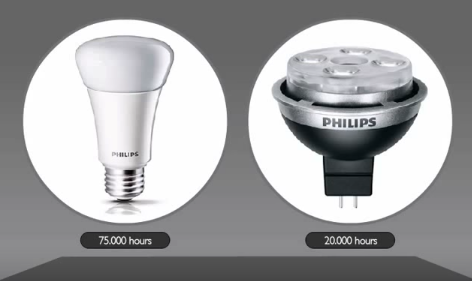 The useful lifetime of professional luminaires is 75.000 and for consumer retrofit about 20.000 hours. LEDs are energy efficient. 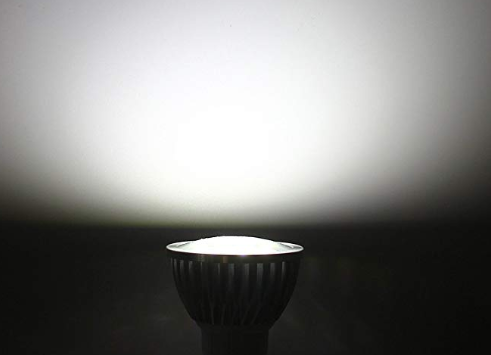 A LED lamp is as efficient as a CFL lamp and about 6 times as efficient as an incandescent lamp. 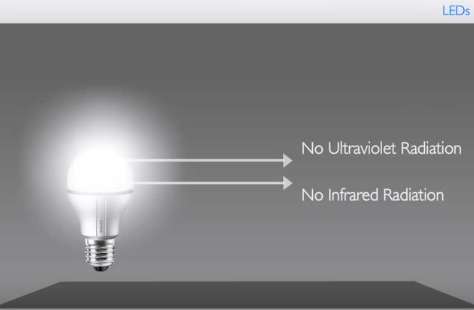 Light emitted from LEDs do not contain any infrared or ultraviolet radiation. This makes the use of LEDs around heat sensitive or UV sensitive materials safe. Because of these benefits, more LEDs are being used as integral part of luminaires. 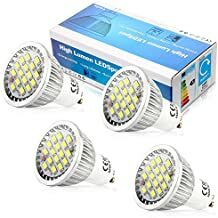 I hope this article helped you to understand a little more about LEDs and assisted you to pick the best gu10 led bulb.